When we speak with you about your mortgage, finance and/or insurance requirements we do so on the basis that both parties are entering a contract for the supply of services. We may also obtain some information from third parties, for example, credit checks, information from your employer, and searches of information in the public domain such as the voters roll. If we use technology solutions to assist in the collection of Your Personal Data for example software that is able to verify your credit status, we will only do this if we have consent from you for our nominated processor or us to access your information in this manner. With regards to electronic ID checks we would not require your consent but will inform you of how such software operates and the purpose for which it is used. •	Submit Your Personal Data to Product Providers/Mortgage Lenders/Commercial Lenders and/or Insurance Product providers, both in paper form and on-line via a secure portal. 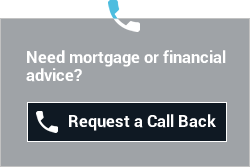 The provision of this information to a third party is essential in allowing us to progress any enquiry or application made on your behalf and to deal with any additional questions or administrative issues that lenders and providers may raise. •	Mortgage lenders/Finance lenders and insurance providers. Third parties who we believe will be able to assist us with your enquiry or application, or who are able to support your needs as identified. These third parties will include but may not be limited to, our Compliance Advisers, Product specialists, estate agents, providers of legal services such as estate planners, conveyancing, surveyors and valuers (in each case where we believe this to be required due to your particular circumstances). Amar Dhanota, contact number 0208 427 5057.